Slice pear in half, then into quarter-inch slices. Pour a small amount of coconut oil into a baking dish, then lay the pear slices over the top. 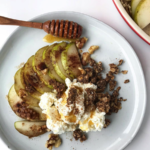 Pour the remaining coconut oil, melted honey, walnuts and cinnamon over the top of the pear slices. Bake for 10-15 minutes. 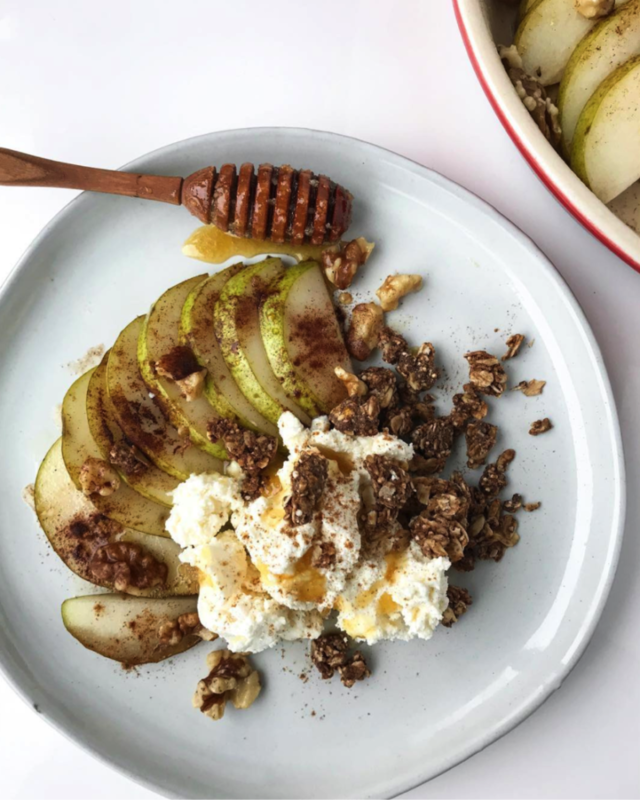 Plate with yogurt, granola, cinnamon and a drizzle more honey. Enjoy!